Groton sits in the northwestern region of Middlesex County in Massachusetts in the Western Suburbs. 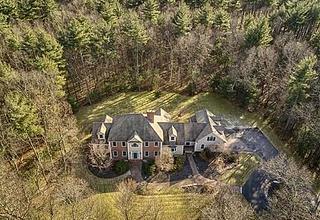 With expansive, rolling views of Massachusetts picturesque backdrop. Groton is a Western Suburb of Boston offering luxury homes and spacious backyards. Located in the heart of this neighborhood sits the quaint Groton Center, which offers residents the ability to dine, shop and explore. Gourmet restaurants, specialty shops, the Rail Trail, grocery stores and many outdoor recreational activities are all within a short walk from residents’ front doors. Groton is home to spacious, luxury townhomes and colonial-style residences with scenic views of Gibbet Hill and the surrounding New England landscape. Residents play a round of golf at the Groton Country Club, a family-oriented recreational complex. An ideal site for weddings and special events, the country club also hosts summer camps and aquatics in their heated pool and recreational facilities. With Route 3 and Route 495 running close by, traveling in and out of Groton to neighboring suburbs and cities of Massachusetts make it easy for trips and day-time commutes.